The network news divisions are enjoying the unprecedented coverage they're providing President Obama, not just because they support him, but because White House specials are cheap and do well in the ratings. "Obama should change his middle name from Hussein to Nielsen," quipped longtime TV reporter Gail Shister in a story by David Bauder of the Associated Press. It seems like a never-ending spin cycle: laudatory coverage leads to popularity, which leads to higher TV ratings, which leads to more laudatory coverage. But it's not working any more. Behind the glittery curtains, Obama's polls are falling. Worse, some ink-stained wretches are getting a little sick of the propaganda merry-go-round. Helen Thomas and CBS reporter Chip Reid both slammed press secretary Robert Gibbs on the hermetically sealed "town hall" meeting on health care in Annandale, Virginia, where all the questions and questioners (and president-huggers) were carefully screened to make sure no one burst the bubble of Barack's astonishing cool. But the network chieftains continue to be unapologetic, even insulting when questioned about their laudatory coverage of the White House. 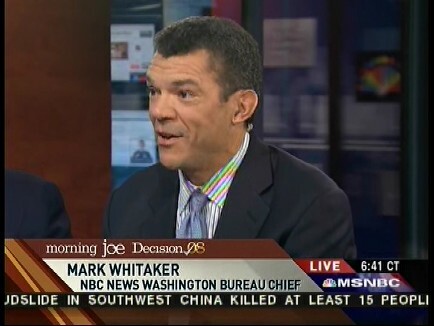 When AP's Bauder asked NBC News Washington Bureau Chief Mark Whitaker about his network awarding four sappy hours to Obama in prime time, when previous presidents got a measly 60 minutes, Whitaker shot back: "Are you going to blame NBC for giving that much time to a very exclusive, interesting and revealing look behind the scenes at the White House? Compared to what, more of 'The Biggest Loser'?" Whitaker claimed that strong viewer interest in the president is enough to award him hours of prime time. But that's not really true. When NBC gave President Bush a single hour with a less subservient Tom Brokaw in January of 2002, Bush was never more popular. NBC's own poll found 82 percent of the people approved of his performance, and only 13 percent disapproved, numbers that far exceed those of Obama. The only difference was that you wouldn't find NBC in that 82 percent number for Bush. Back in those days, ABC News president David Westin banned the wearing of flag pins by his employees. "I think our patriotic duty as journalists in the United States is to try to be independent and objective and present the facts to the American people and let them decide all the important things." But this same David Westin now sees no need to be neutral and independent and objective. 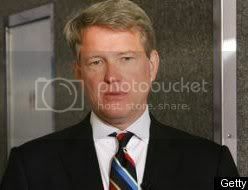 Pressed about his GOP-free town hall meeting with Obama in prime time to promote socialized health care, Westin spit on the notion of "neutered" journalism in an interview on National Public Radio. "Implicit in some of the criticism is the notion that true journalism consists of having neutered journalists act as a referee between two opposing partisan viewpoints." No one would mistake ABC for a referee. You don't hire Cuomos and Clinton press aides as "news" providers and then claim neutrality without inspiring giggles. Sigh. It would be nice if the news media behaved like referees, without a rooting interest in one party or the other. But for decades now the networks have been trying to shove their own political preferences down the throats of viewers. They unabashedly seek to make instant legends of the politicians they like (Barack Obama), while destroying the ones they don't (Sarah Palin). Westin also complained that people who have enough audacity to complain about offering large chunks of prime time to a liberal president are just "gaming" the system. "I am also mindful that there are going to be a certain gaming of the officials in this matter, that the louder people complain, the more they think we may bend over backwards the other way. Our job is to try to keep it right down the middle." Who is Westin to claim that someone else is "gaming" officials? As if ABC slavishly offering chunks of their prime-time schedule to Team Obama isn't focused on gaining more access and exclusives from the White House? Or do they offer all that free air time because they're philanthropists, and enacting liberal legislation on health care is clearly in the public interest? How is all that free air time keeping it "right down the middle"? White House reporters may be getting fed up with presidential stage management, and that is good. But at the top of the "news" food chain, the executives and the anchormen are still unashamed to offer Obama a stage and let him manage them.